I’m not sure who will get the most out of these, the kids or the parents. 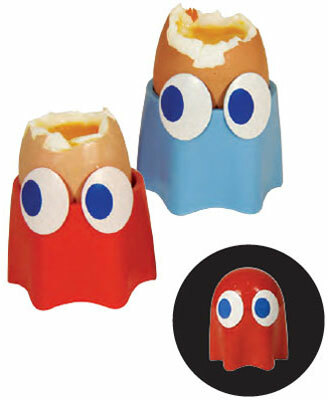 Either way, these Pac-Man Ghost Egg Cups should brighten up any breakfast table. They’re new in at Forbidden Planet. Or at least, they will be when they land tomorrow. When they arrive with you, they’ll be there as a full ‘Ghost, with the top half removed to fit the boiled egg. After that, just tuck in! £6.99 is the price and as we said, these are landing tomorrow if you want to order.